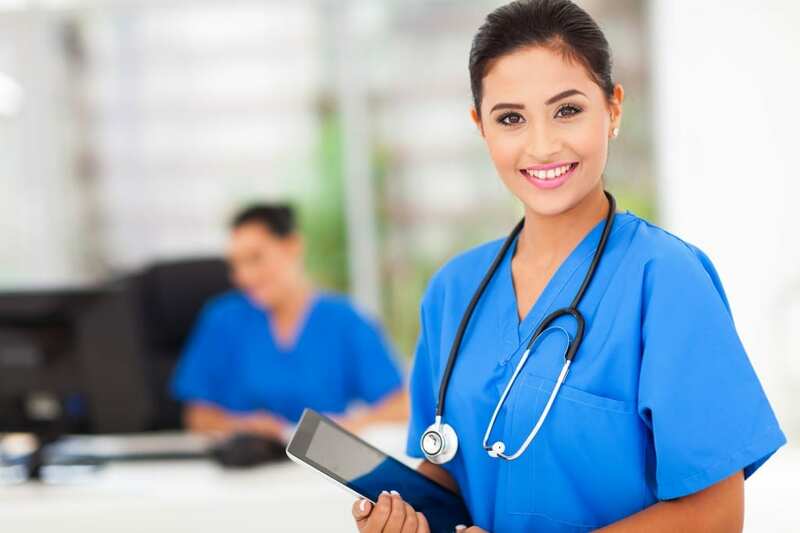 Like every other state, Indiana’s Department of Health has a list of criteria that CNA students must fulfill before obtaining their certification. Candidates must be 18 years or older, pass a criminal background check, graduate from a state-approved CNA program, pass the state’s nurse aid evaluation, and get listed on the Indiana Nurse Aid Registry. Indiana requires 30 classroom hours and 75 clinical hours for nurse aide training. Visit the Health Department’s website for a full list of requirements and curriculum details. Get ready for the expected growth in demands for CNAs by checking the state-approved classes listed below. The nurse aide training offered by MedTech prepares students for a successful career as a CNA. The college is recognized for its quality programs and experienced instructors. Some elements of the program include taking vital signs, transferring patients, infection control, food and nutrition, collecting lab specimens, charting, and reporting medical observations. The program comprises of classroom, laboratory and clinical training to prepare graduates for the state exam. Graduates have the option to continue their education by enrolling in MedTech’s Registered Nurse program. Contact the college for current fees and schedule of classes. Get ready to take the CNA exam in less than 3 weeks. RESQ offers two training options: a 5-week evening and weekend course or a daily option, which requires 3 weeks of training. Classroom sessions are conducted on RESQ’s facility. Thereafter, students transfer to Greenwood Meadows for clinical training. The $799 fee includes $250 for registration and $549 for tuition. The fee also covers costs for AHA BLS for Healthcare Provider Certification, textbooks, and gait belt. Other student costs include uniform, medical exams, background screening, and the state exam fee. RESQ has a strict attendance policy: Absenteeism and tardiness will result in dismissal from the program – without refunds. The Health Division of Ivy Tech Community College offers valuable opportunities for people who want to enter the health care field. One of the college’s well-attended programs is the Patient Care certificate class. Students who complete the course are eligible for Indiana Nurse Aide testing. Patient Care has 19 credits covered over 2 semesters and 5 classes. The classes include Medical Terminology, Health Care Support Certification, CNA preparation, Dementia Care, and Home Health Aide. Indiana residents pay $126.15 per credit hour for tuition. Therefore, the entire program costs $2396.85 for residents. Credits are transferrable to a Registered Nursing program, and financial aid may be available for qualifying students. Legacy CNA Training’s accelerated three-week nurse aide training prepares student for the state certification exam. The accelerated classes let students find employment sooner without comprising the quality of the training. Graduates benefit from numerous employment opportunities as Legacy works to bring employers and nursing assistants together. 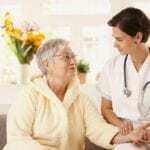 The curriculum includes training in the classroom, hands-on practice in the school’s lab, and a supervised clinical experience in skilled nursing facility. Classes meet from 8:00 am to 4:30 pm for the first week and 6:30 am to 3:00 pm for the final two weeks. A comprehensive review session at the conclusion of the course, one day before the state test, supports students’ success on the exam as they review the material and get answers to any questions. Legacy has a track record of 99% pass rate on the state exam. Students must undergo a criminal history background check and physical exam, including a TB test or chest x-ray. The introductory class provides the training and clinical experience for persons seeking employment as a nursing assistant. 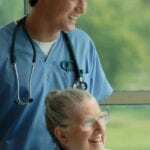 The training covers 30 hours of lectures in the classroom and 75 hours of supervised clinical activities in a skilled nursing facility. Students must wear uniform for the clinical and submit a statement of health to the instructor. A criminal history check is also required for participation in the clinical. The program calls for perfect attendance. Classes meet Monday through Thursday from 5:00 pm to 9:00 pm for three months. Graduates of the state-approved program are eligible to sit the Certification Exam for Nursing Assistants. Tuition for the program is $900. Miller’s offers free nursing assistant training to persons who are interested in a career as a Certified Nursing Assistant. Students must complete 36 to 40 hours of classroom work and pass all the evaluation tests with an average of 80% or more. Students who pass the classroom portion move on the clinical phase of the course. The supervised practicum takes place in a long-term care facility where students complete 75 hours of training to develop critical skills. The class instructor will supervise students during the first 16 hours – students who are absent during this phase of the program will be dismissed. A preceptor will assist students with organization and time management during the rest of the practicum. Interested persons must pass a criminal background check, TB test, and physical before the first day of the program. Graduates receive a certificate of completion and will be scheduled to take the certification exam. Miller’s Merry Manor will cover the exam fee for graduates who receive an offer of employment and remain an employee in good standing. Golden Living Training Center’s pre-certification nurse aide classes help students meet their career goals of entering the healthcare industry. to help take your career goals to the next level. Interested persons must be 18 years or older and have the ability to comprehend, communicate, and read and write English. Perfect attendance is required to meet the standards outlined by the Indiana State Department of Health. Absenteeism or tardiness will result in dismissal from the program. Classes meet five days a week. Graduates are eligible to sit the state certification exam upon completion of the program.